Crowds of people flocked to Downtown Los Angeles during the wee hours of the night to get their seats at ringside to what is soon to be the Syfy network’s newest sport, boxing robots. A new physical competition game show that actually doesn’t involve the contestant to get their bodies injured at all, but using that of a life sized full metal robot instead is titled “Robot Combat League”. 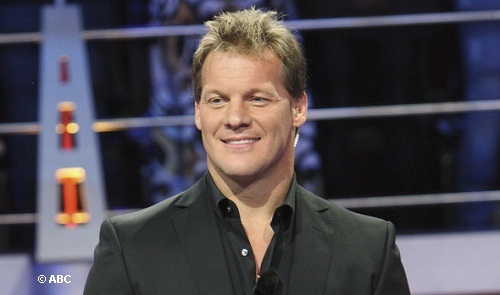 The show is hosted by Pro WWE wrestler and host of cancelled game show “Downfall”, as well as bestselling author of “Undisputed,” Chris Jericho. Upon entering the cold, concrete, and industrial-style ring, Jericho looked small in comparison. Years since his days of professional wrestling, much of the massive, bulky muscles now deflated and kept beneath black jeans, a T-shirt and leather jacket. Pictured: Host Chris Jericho has a thing for night shoots and boxing rings! Far from the sets and studios of Hollywood, The show, which has already been shot, was filmed in a downtown warehouse location at night. It was the same warehouse that was used for the season 2 finale show of “Face Off”, another Syfy network show. Players consisted of athletes who, while adorned in latex bob sledding type wear, perched atop a second floor landing above the ring and their robots. They used joysticks to operate their robots and simulate with their bodies their punches and moves, much like a virtual reality game. Each player had a partner, or team mate who sat next to them. It appeared that their team mate controlled the walking movements of the robots. Below in a ring with a concrete floor held two robots which slide their way out on cue of the director to pack their punches. During heavy blows made by contestants, sparks flew and green oil fluid squirted and gushed-out into the ring. On one incident, audience members were hit with the fluid. Each fight consisted of three rounds and the last fighter standing at the end of all of the battles, takes it all – $100,000 grand prize. 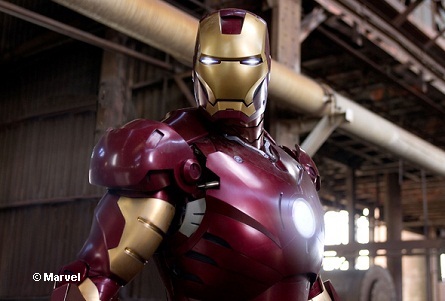 One “Robot Combat League” robot is similar to “Iron Man”. 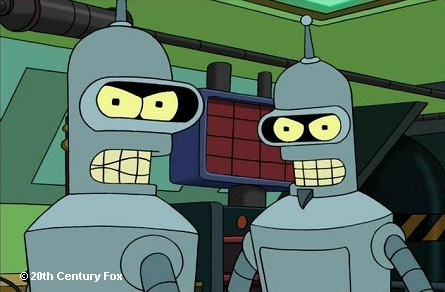 Two of the distinguishable robots that fought were – one looked like the Iron Man but with a hatchet for a head, and another one looked like it was purposely designed after Bender from cartoon “Furturama”. Robots stood lined-up amidst the warehouse a few feet away from the stage area. The scene looked like a Sci-fi film. Each contestant played a different robot. Though Hollywood Junket reporters were no present at each episode, it appeared that no robots were used more than once. “Robot Combat League” has a Bender identical robot. Most tape days in the early stages of filming consisted of only one fight, but took up to ten hours from set-up to wrap. A commentator sits about twenty feet from the ring with audience members standing behind him. Jericho occasionally interacts with this side-kick. Each episode starts with Jericho standing inside of the ring and giving a brief up date where the players are at in the game and announces that show. One of the producers of the show was very stern with audience members and told them NOT to talk to Jericho. They were also told that once the show has aired, people will be clamoring to get tickets to see it and be willing to pay hundreds, even $1000 per ticket reminding them that they were the lucky few to get the chance to witness it in-person while being paid. “Robot Combat League” is scheduled to premiere on Tuesday, February 26, 2013 on Syfy.